Good morning y'all! I know I have been absentee the last few days and I apologize! Lots going on with work, visitors and Lallie's new school, it's been tough to keep up. 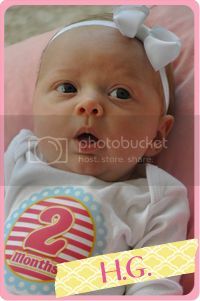 But I plan to be back to regularly scheduled programming next week! Husband and I tried blackening our own scallops this week. We have this guy we call "Ron, the meat guy." He comes to our house every couple of weeks and brings us individually wrapped chicken breasts, steaks of all sorts and he also has fish and some of the biggest scallops I've ever seen! Everything is restaurant quality, so the chicken is never rubbery like store bought can sometimes be and the steak are so thick and juicy with just the right amount of marbling for fat flavor. A couple weeks ago, we bought some of his scallops. We've never worked with scallops before and weren't quite sure what to expect. We decided to play it safe and blacken them using the same blackening recipe as on my blackened chicken HERE. Though I will point out that you need to double the salt, the blackening was a little bland without the extra salt. This time, it was PERFECT! Thaw your scallops under cool water, this won't take long, so don't water log them (yes, run the water directly over them). Mix up your blackening season and coat each side of the scallop. 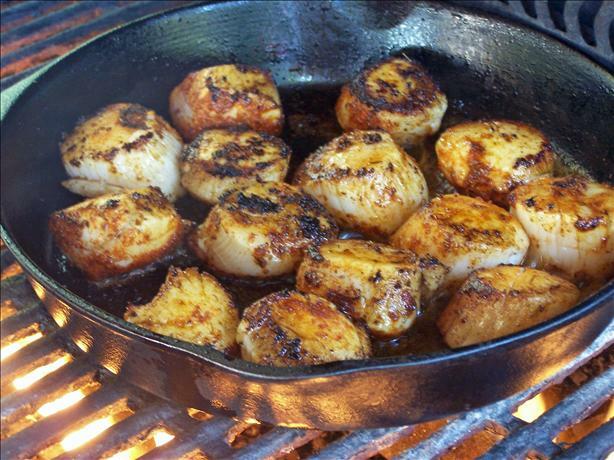 In your cast iron skillet (and on your outdoor grill burner as this will smoke up your house).....blacken the scallops for about 1 minute each side. Transfer the scallops, in the skillet, to the oven for 4 to 5 minutes. We served our blackened scallops over angel hair pasta mixed in some Alfredo sauce with some added sauteed onion (LOTS of onion, we LOVE onions in our house!) This whole thing from start to finish, including the thawing, took about 30 minutes! Can't beat that! I hope you enjoy this recipe and I look forward to reading all of yours! Have a great weekend y'all! Welcome to the second edition of What's In It Wednesday! I hope y'all are ready to show us your purse and its contents! Why? Because every woman carries their favorite products in their handbags and I certainly want to see yours and show you what I am currently loving! AND, as a special, Ashleigh is sharing what's in her purse too! So, double the fun! I normally carry a Louis Vuitton Batignolles Horizontal. But for the summer, I am carrying my lovely Francesca Joy Palm Beach tote custom designed for moi in pink and green palm trees and shells. I love it! My job has me on-the-go constantly, so I need lots of room to carry everything I need for the office, home and Lallie. This tote works wonderfully. Picture from Francesca Joy's Tumblr account. 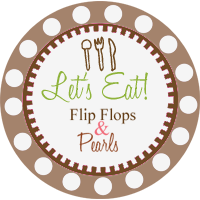 My Lilly file folders: Bills, Work, School, Recipes to Try (isn't that funny! 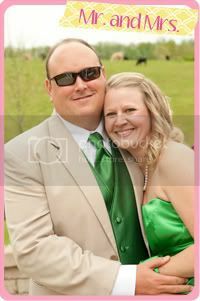 ), Ashleigh's Wedding (tres importante) and Misc. Car keys, camera (I took these pictures with my new pink covered iPhone), CVS wipes (I have a toddler you know), Dentek flossers, the pink thing is one of Lallie's motorized bugs that she threw into my purse and my Vera Bradley wallet. I'm not a Vera fan, but I'm very picky about my wallet set up and I love Vera's setup. I can't find a purse I like right now so I am using an old one. It's not that great but it does the trick. My camera. I NEVER go anywhere without my camera. I almost always have this one but if I don’t, I have the one on my phone. My Thirty-One Hard case wallet. I have my cash, change, and loyalty cards (like My Panera, my Ulta Club card, etc) in here. A straw! Because I can’t stand having ice clink up against my teeth. So, if I am somewhere that doesn’t have straws readily available, I am prepared! Carmex, Dr. Pepper lip smackers, and three Studio Gear lip sticks, Studio Gear Vitamin E. This is the best feeling, most soothing lip stuff ever! I love it. It’s a bit on the pricey side but I LOVE it! I normally ask my mom to put it in my stocking at Christmas. I LOVE these lipsticks. They feel good. They taste good. They last a long time. It’s really the only brand I will wear. So, that's our bags! I can't wait to see yours! Be sure to link up and let us know what's in your bag. Hello y'all from my new iPhone! I am typing on the BloggerPlus app and so far, so good! I've been using the Droid for about 18 months now and it was an awful experience! Dropped calls, constant misspellings and lately there had been non-stop forced closure of applications. When I didn't receive emails or phone calls all weekend but walked into my office yesterday morning to find 3 missed calls and 25 emails, I knew something was up. I went to the trusty Verizon dealer where they did a master reset to which the phone got worse and wouldn't respond at all! Since the phone was out of warranty, here I am with an iPhone 4 and I am THRILLED! It types perfectly, understands what I'm trying to spell and I haven't had one dropped call and I've received all emails and texts, no issues. Yay! And kudos to Verizon for working this out for me speedily! I can't work without a phone since I'm on the road a lot. So I'm curious all you iPhone users.... What are your favorite fun and hip apps? Of course I have Facebook, goodreads and fooducate (which is super nifty if you're into label reading at the grocery store like me). So tell me. I want to know! Don't forget about What's in it Wednesday tomorrow! Be ready to show us your bag/purse and product reviews! I will have Mr. Linky ready for you too! Y'all remember this scrumptious pasta I made for our Memorial Day Picnic? Well here's the recipe. I promise it will not disappoint (and y'all know that when I make something and post a recipe, it's good.....especially if I took the trouble to shred cheese and make homemade cheese sauce!) This is fabulous for leftovers too! Enjoy! (IMPORTANT: Notice I have all my ingredients ready to go....that is because once you start the cheese sauce, the process goes FAST and you MUST have everything ready). *NOTE* If making large sums or a double batch, like I did, Gruyere and Gouda can get expensive (we're talking $40 worth of cheese). So you can substitute sharp Cheddar for the Gruyere and Monterey jack for the Gouda. It's still amazing! Preheat oven to 350 degrees and lightly grease or Pam a 13x9 baking dish (glass) or 8 ramekins. Cook prosciutto in a large nonstick skillet over medium high heat, stirring often (6 minutes) until brown and crisp. *NOTE* - I take the deli sliced prosciutto and tear into pieces the night before and lay between the sheets of deli paper on a plate. Prosciutto tears quite easily. And this way, it won't stick together. Also, if having people over, it's okay to either fry it in advance (to get the smoke smell out of your house as it is potent) OR use a side grill burner outside (recommended). NOW - this next part is going to go fast (and thus the reason I don't have pictures). You MUST whisk constantly, don't stop or your mixture WILL burn! SLOWLY whisk in milk, whisking constantly, five minutes until the mixture becomes smooth and starts to thicken. You will know when it's ready because the milk will start to foam and boil.....when it starts to boil, take OFF the heat immediately (it will boil over if not careful, so pay attention). Bake at 350 degrees for 20 minutes until bubbly. Last Wednesday marked the end of my eight week Body Back session. 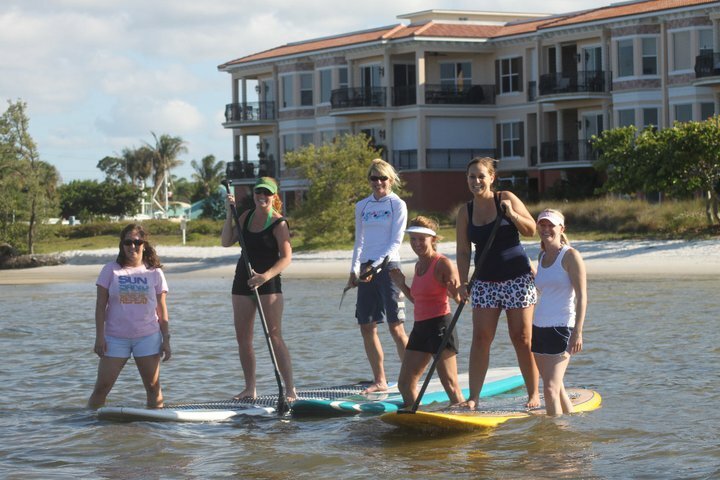 Our amazing trainer Lisa (the one on the middle on the teal board) threw us girls a paddleboarding party! I hate to boast but really, that's an accomplishment for me.....the girl who's never completed a fitness course in her life! So, I'm taking a bow and saying "thank you, thank you!" She had two instructors come to the waterside park in which we work out and had them teach us how to paddleboard. After, we had finger foods and wine in celebration of our achievements over the eight weeks. 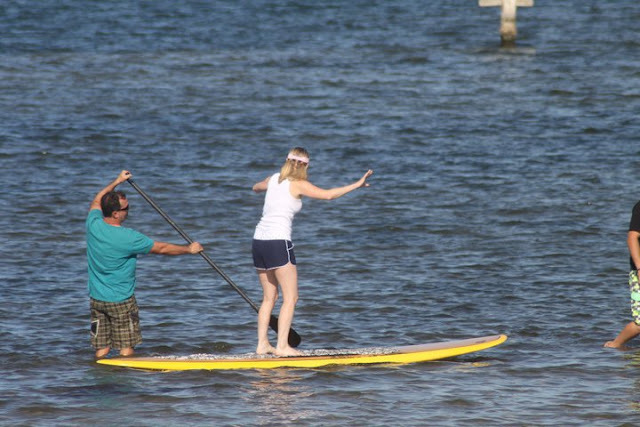 Paddleboarding isn't nearly as hard as it looks. The boards are long and wide and you stand with your legs at about shoulder length apart. In this stance, there are still about five inches to either side of your feet, so keeping your balance is really not as difficult as it would seem (say, like a surf board). We were in knee deep water and not one person fell off the board into the water. I think of it as kayaking, standing up. It is definitely a workout though. 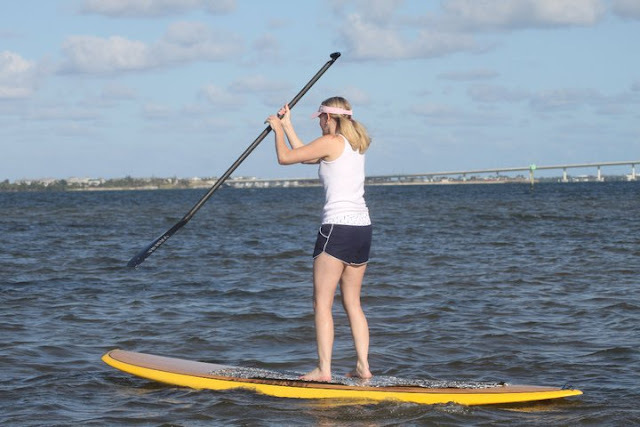 If you want a core workout, go with paddleboarding! 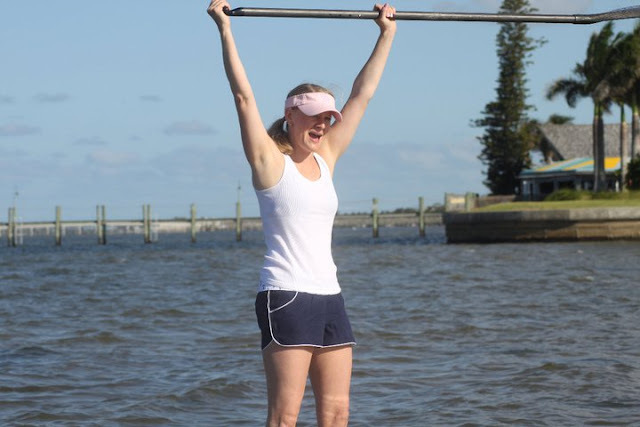 Whoo hoo, I've mastered the art of paddleboarding!! My first lesson, learning how to paddle and stand. Here we go! It was a little tough heading out as the wind was blowing the current back in, so the board kept wanting to turn around. And that is where the core workout came in...trying to keep going against the current. 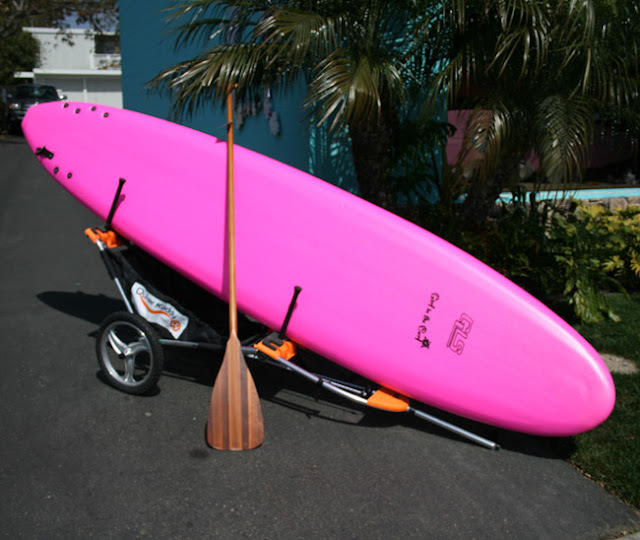 So, now I want a paddleboard to strap to the top of the boat "T" top so I can paddle board when out at the sandbar. I'm thinking this one from Girl in the Curl. It is time for our first edition of What's In It Wednesday. 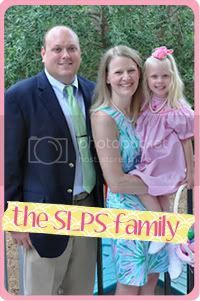 As y'all know, my blog is a hodge podge of family, fashion, books and random. I don't have a particular theme but I love to blog and love reading blogs. However, I've been lacking for content lately. So, after quite a few emails over the past year or so saying "I'd love to see what's in your closet" or "I'd love to see what's in your bag" (which I've done a couple of times over the past couple years, but it's always changing), I thought it'd be fun to start up What's In It Wednesday! You can participate each Wednesday if you like and link up. And if not, it doesn't bother me. It just gives a chance for me to show what I'm loving right now in my closet, purse, workout bag, shower, pantry etc. So instead of random posts here and there, you'll get a weekly edition of what I'm loving. This week I'm starting with my closet! And this is Husband's side! bureau for socks, belts and tshirts. which is the Lilly section? Dresses and coats. I honestly don't wear many dresses or coats. I'm a skirts, capris and shorts girl. Pants, capris and skirts. Organized by color and Lilly, again. I just like keeping the bright Lilly colors together. The few winter clothes I own, on the bottom shoved into the back. South Florida girls don't have too many winter clothes per se, but they are capris, skirts and pants in winter colors. Make sense? SHOES!!!! When I winterized, I downsized my shoe collection big-time. I got rid of a lot of old shoes that either I don't wear or are worn out. Closets tend to collect things and be kept for too long. The next two pictures are the top of my closet. Here is my preserved wedding dress, old pictures, Lallie's Easter basket that I haven't stored yet AND see those two antique chairs in red, white and yellow? 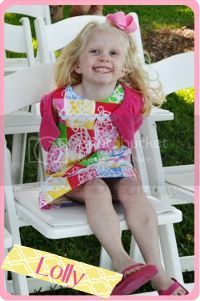 Those are the chairs that will be painted pink for Lallie's room. tags, ribbons and other supplies. Nifty huh? Name one Lilly collector that doesn't have a Lilly bag where one collects Lilly tags. I have discovered several other bloggers that do the same. It's silly, I know. But I just can't stop myself. This is my great grandmother's antique chair, that I think (not sure) was handed down from her mother. The seat needs to be repaired and the cushions covered. It's on my list of "things to do." But for now, it's perfect for my closet when I need to peruse and think about what to wear, to put on shoes OR to just sit and think when I need a moment to *breathe*. My overloaded rack of everyday totes, scarfs and my Susan Tancer handbag (the handpainted one on top, isn't it cute?) The other totes I don't use as often are up top on the other side of my closet. Of course, my pink U of K hat and pink fluffy robe hang here as well. So that's a tour of my closet. I hope you enjoyed! Next week, your handbag. So mark your calendars if you want to participate! I'll add a Mr. Linky next week. 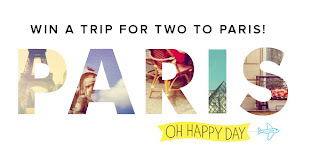 On another subject entirely, Oh Happy Day is giving away a trip to Paris! Yes, a seven day airfare and hotel included trip to Paris! Ummmm, yes please! Not that I'll win, but can't help but try. 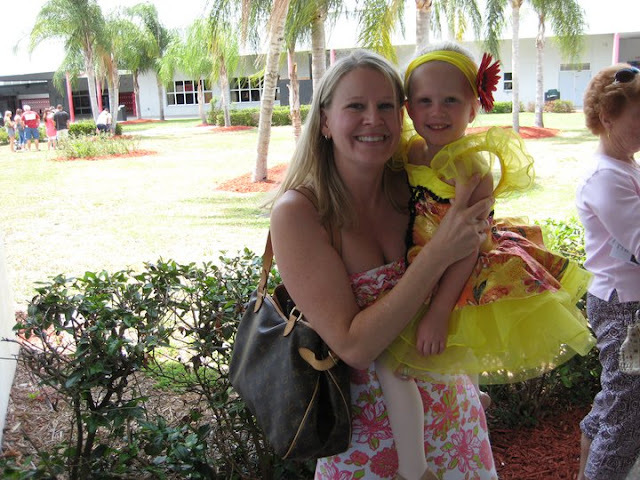 If anything Oh Happy Day is just a fun blog to read and super crafty. In addition, with Ashleigh and her wedding planning, the blog has some fabulous ideas there as well! Check the blog and the giveaway out HERE!